You have probably noticed all the buzz around the thing called cryptocurrencies. There are a lot of cryptocurrencies (digital currencies) available out there such as Bitcoin, Litecoin, Purecoin, and Namecoin, but we’ll be focusing on Bitcoin here. Although Bitcoin is the strongest, there are many other cryptocurrencies that you might also consider mining. In our other article, we wrote about The Top 10 Cryptocurrencies in 2017. Click here and read it now! Basically, these aren’t much different from the money you have in your wallet. The pieces of paper we use have no actual value, they’re just bits of data that we apply an imaginary value to. 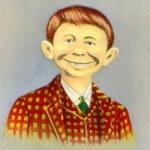 You can’t really do much with money, other than throwing it on the table. It is only a tool for transactions. Bitcoin is more similar to gold and diamonds since neither of them has a central banking system that controls them. Which is why Bitcoin is often called the digital gold. Banks and governments have no control over bitcoin. This currency is completely decentralized since transactions have no banks, companies or any third party involved. Transactions happen directly between the sender and the receiver. There is no such thing as a bitcoin bank, bitcoin company, Bitcoin building or even a bitcoin server that handles these tokens. It is kept alive by a network and can never be shut down since it is completely distributed. This is the greatest thing about bitcoin. It is the first ever way for you and me to exchange value online without a third party intermediary. Before cryptocurrencies, we had to employ a third party company like Paypal, Visa or Mastercard to help us make the online transaction. Just like gold and unlike money, you can’t just jump onto a print machine and print a lot of cryptocurrencies. They have to be mined. If mining isn’t what you’re interested in, check out Bitley’s the Bitcoin investment fund that offers up to 2.5% weekly interest on your Bitcoins! Click here for more information about Bitley’s! At the heart of every bit of cryptocurrency, there is a mathematical problem that has to be solved with a piece of computer hardware. Users solve these problems with high-end hardware such as GPU cards and ASIC cards (hardware optimized for mining). Every time a solution is found to a particular math problem, a reward is given out in the form of bitcoin. The difficulty of this problem depends on the strength of the network that is set out to solve them so that problems are solved in regular intervals. The value of the bitcoin constantly changes, since there is a finite amount we can mine. The number of coins available will halve every 4 years. The current standings of Bitcoin and all the latest statistics are followed by Blockchain.info. Click here to visit the site! Eventually, we are going to reach the upper limit of 21 million and once we do that we can’t mine more. It’s evident that bitcoin will become more expensive as it becomes rarer. What saves people a lot of trouble, is the fact that bitcoins can be divided to 8 decimal places. You can pay 0.00000001 bitcoin, even when the price of the bitcoin moves between $500-$1500 USD. Bitcoin is stored in a virtual wallet, which keeps a unique record of every single transaction and also allows the user to send and receive bitcoins. All the transaction are also verified by all the miners and those transactions are stored by every member of the network. Which in reality would look like you handing over ten bucks to your friend, in front of all the people that use the USD currency. It takes a few minutes to verify that this transaction has happened. Bitcoin operates as a peer to peer network, which means that everyone who uses bitcoin, owns a tiny fraction of the “bank” of bitcoin. But where do bitcoins actually come from? With paper money, a bank decides when it creates and distributes money. As I mentioned, bitcoin doesn’t have a controlling government. Bitcoins are created by people solving math problems and receiving bitcoins in exchange. This is a smart way to issue the currency and also gives people an incentive to mine. Since miners are required to approve a transaction, the more miners we have the more secure the bitcoin network is. Mining is the way to ensure fairness while making the bitcoin network stable and secure. The bitcoin network automatically heightens the difficulty of the math problems, depending on how fast they’re being solved. In the first days of bitcoin, people solved these problems with their CPU processors. You can always contribute to Bitcoin mining by investing into it and receiving your fair share. Earn money by receiving a 2% interest on your Bitcoin deposit every week. Click here to create an account now! They soon discovered that the high-end graphic cards used for gaming could mine much faster since they handle this kind mathematics much better. Graphics cards are much faster but they also consume more energy and generate a lot of heat. This makes them a more costly solution. 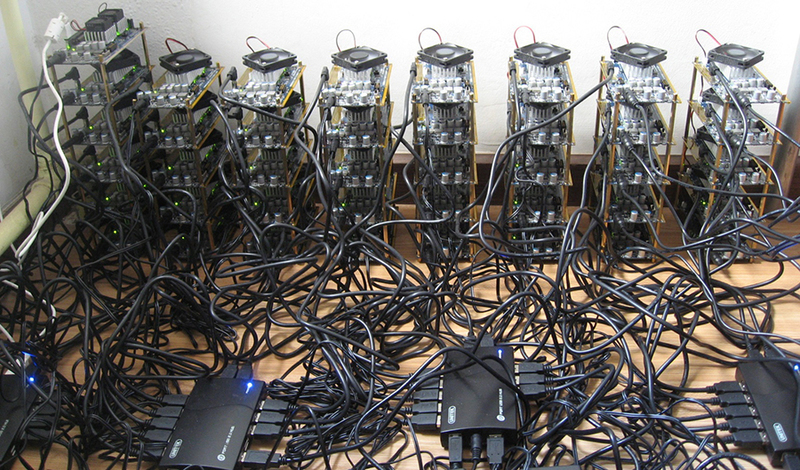 Eventually, the ASIC hardware was created, which is hardware optimized for bitcoin mining. ASIC cards or Application-Specific Integrated Circuit chips are designed specifically for bitcoin mining, which made the process even faster while consuming less power. As the popularity of bitcoin mining increases and more people join the network, thus increases the difficulty of the math problems. To overcome this issue, miners have found a solution, which is working together in pools. It is a way of combining a network of many miners towards one common goal or math problem. A pool of miners finds solutions faster than an individual miner and each miner is rewarded a proportion of the amount of work he/she provided. Every transaction that ever happened is kept track of by the use of nodes. Each of these nodes holds a ledger and keeps track of every single bitcoin transaction in history, from the moment bitcoin was generated to the last participation it had in a transaction. The cool thing is, that even you can create a node and help keep track of all the transaction in the Bitcoin world. But be wary that since everything in the bitcoin network is tracked over time, it will take up 25GB right off the bat and will eventually consume more. So if you want to create a node, make sure that you have plenty of hard drive space and a lot of bandwidth. On Bitcoin Wiki, you can learn more about how these nodes work and all the requirements of running a full node. Take a break and check out the article by clicking here. There are hundreds of thousands of nodes spread all over the world and the more nodes a network has the more trustworthy and stable it is. Bitcoin mining can be a tricky business but thanks to its adoption, it has become mostly stable. You can see more and more places around the world that have stickers saying Bitcoin accepted. During its initial phase, bitcoin was only used between people, to conduct transactions, but now, even big companies like Microsoft are accepting it as a legit form of payment. This is a big indication that says Bitcoin is going to be around for a long time. You can basically start up your computer or bitcoin mining rig and start mining right now. If you are the one out of the many computers to find solve a problem and find that magic number on the network, you will be rewarded 25 bitcoins. That’s tens of thousands of dollars right now. But the odds of you finding that is very little and it might end up taking 10 or 20 years to do, with you burning up more power than the reward you get. This is why people join pools, where they share their resources and the rewards they get from mining. By joining a pool, you can streamline your income and make it much more stable. This would be the smarter move. If you’re mining for bitcoin, you also have to have the latest technology to be able to compete with others in the network. For example, mining started out with CPUs, but people found out using GPUs was much faster and CPU users got pushed out. Soon enough, ASIC chips came along and they started pushing GPU users out. The AntMiner S3 ASIC system mines 500x faster than most graphics cards were at one point (read more about mining hardware here). So you have to be really smart in what you invest into. Right now, to mine for bitcoins, you have to have an ASIC miner. But there are other cryptocurrencies that allow only GPUs, so you can work with those as well. On the other hand, you can also join a Bitcoin investment project and start earning money that way, which is a rather risk-free option. Check out the currently available options by visiting this site! Before you buy an ASIC unit and start mining bitcoin, you have to think a couple of things through. Do some research on what is the difficulty on the network. Exactly how much processing power is on the network that makes it difficult to find that magic number. You have to factor that in, because the more people that are mining on the network (even in a pool), the more ways those 25 bitcoins will be split. So you might end up putting more power into mining than the money you make out of it. 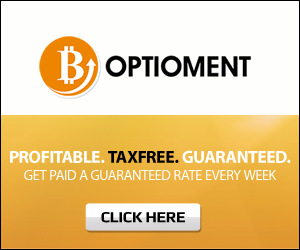 If you would rather invest your money into a Bitcoin investment fund, check out how much you can make with Optioment through this online profit calculator! You must factor the electricity consumption of your hardware. Naturally, you’ll have to pay less for the power consumption than what you get out of mining. For example, the AntMiner S3 costs $2000 right now. It will run on 300-400 kilowatts per second depending on the load. The electricity cost depends on where you live. In a place where it’s 10 cents/kilowatt, you’ll pay about $1.2-$1.5 per day. This will make you about $4 a day. If you subtract the power consumption, you’re left with $2.5 dollars a day. That is not bad at all. Keep in mind that the price of a single Bitcoin is always fluctuating and the difficulty of the network as well. You can always follow the current price of Bitcoin by visiting price.bitcoin.com. If more people join the network and start mining, the price will go up and your hardware will eventually make less money. If people leave the network, it will go down and you’ll make more money. This factor can’t always be foreseen. Keep in mind that these devices work like space heaters since they pump out a lot of hot air. They are also very noisy, so I wouldn’t recommend keeping them in your bedroom. 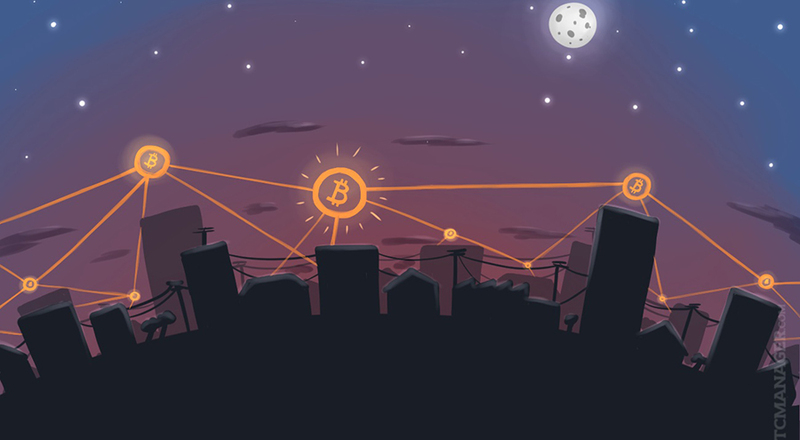 You can also visit a lot of websites that are able to calculate how much profit you’re able to generate based on a few variables such as your power consumption and cost, the current difficulty of the network and so on. The creator of bitcoin is still unknown but he sure managed to leave a mark. Bitcoin took the world by storm and also offered an ingenious way for people to take their money out of the hands of banks, governments, and corporations. Over the past 2 years, Bitcoin has received a lot of support all around the world and it continues to grow exponentially, offering more and more possibilities for everyone!